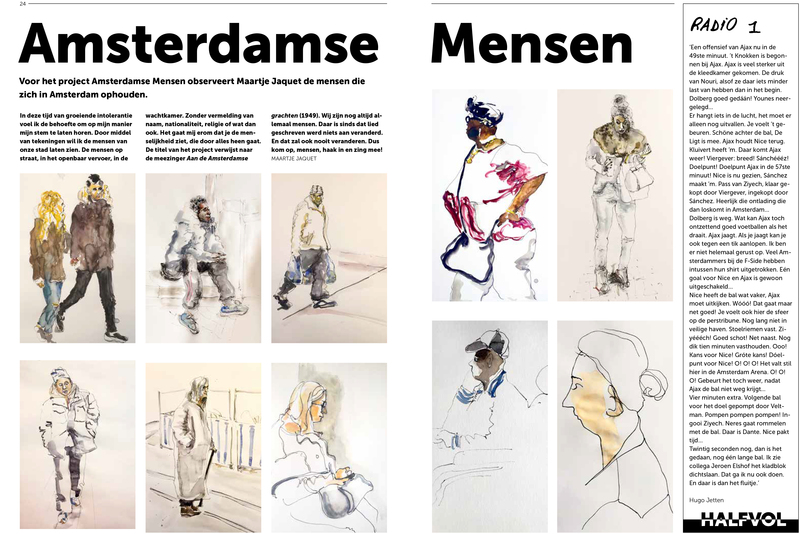 My drawing / painting project ‘Amsterdamse Mensen’ is featured in the new issue of Z!, Amsterdam Magazine for the Homeless. Some of them were made during my residency at BijlmAIR (CBK Zuidoost), others on different locations throughout the city. In this time of growing intolerance I feel the need to raise my voice in my own way. I want to show the people of our city through drawings, On the street, in public transport, in the waiting room. Without mentioning name, nationality, religion or whatever. To me, it’s all about seeing the humanity, that crosses every all boarders. The title of the project refers to a famous old song: Aan de Amsterdamse Grachten (At the Amsterdam Canals), written in 1949. We are all human beings. Nothing has changed about that since. Or ever will. So, come on, you all, sing along! 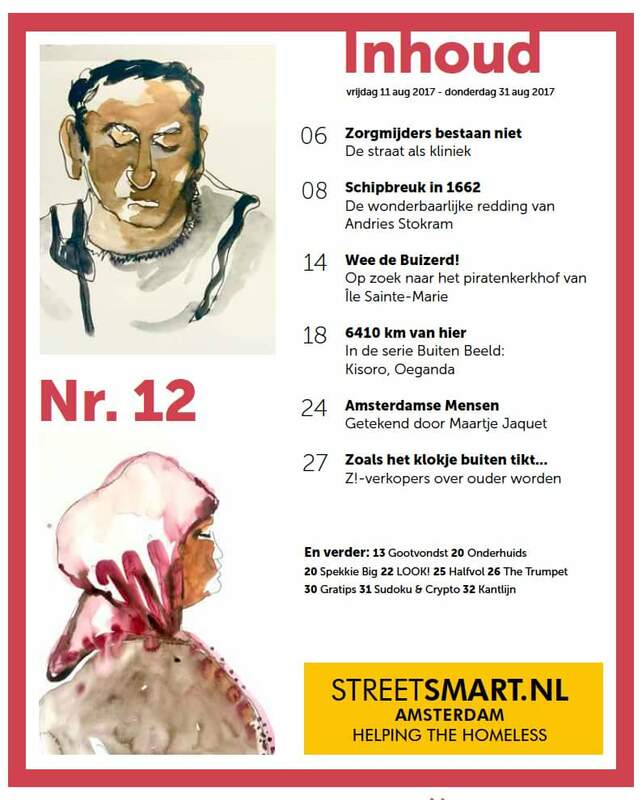 Posted by mjaquet on 2017/08/11 in exhibition and tagged amsterdam magazine for the homeless, AmsterdamseMensen, BijlmAIR, CBK Zuid Oost, CBKZO, dra, drawing, drawing and painting, Ieder1, painting, WeAreOnePeople, Z!.